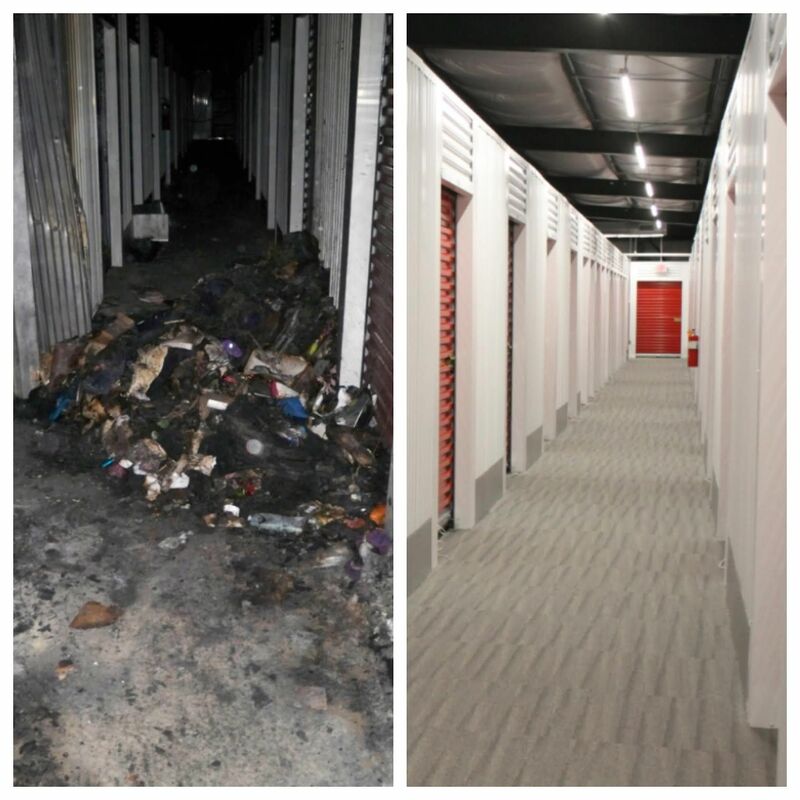 A fire can be devastating to a self-storage business, but if one occurs at your facility, you need to spring into action and contain the chaos as best as you can. Here’s guidance on facing a fire and its aftermath from an operator with firsthand experience. While attending a self-storage tradeshow in 2015, I was sitting at a table with 10 other facility operators, discussing unexpected events that can take place at a property. A gentleman who was obviously involved with one of the real estate investment trusts said his company experiences a fire about every other year at one of its 300-plus-unit facilities. At the time, I thought that was pretty good odds. Little did I know I’d experience this type of disaster firsthand within just a few days. It was about 6:45 a.m. when I received the call from the local fire department. In denial, I assumed the best. I thought, surely, this wasn’t a real emergency, just a faulty smoke alarm or something. Not seconds after that call, I received a text from a friend asking, “Is your facility on 35th Street on fire?” That was when I knew this wasn’t good. On Sept. 15, 2015, my company’s 20,000-square-foot, 136-unit climate-controlled facility in Tuscaloosa, Ala., caught on fire. I lived about 10 minutes away from the property. As I approached it from the highway, I began to see black smoke billowing out of the roof. I pulled up next to the fire trucks and saw investigators everywhere. I knew I had my hands full, but I also knew I had to gather my thoughts and get to work. Local media and customers began showing up at the facility asking questions and wanting to see the building. It was close to chaos. In that moment, I realized our primary task was to begin reaching out to tenants, informing them of what took place. I had my staff pull together all the rental agreements and create a spreadsheet listing the contact information and number for every occupied unit. We didn’t have many answers to offer at this point, but it was important to let people know we were working on a resolution. If a customer hears nothing, he assumes nothing is happening. As each hour passed, the smoke and heat left the building. About five hours after the fire was extinguished, I was able to go inside. There were only four units that were completely burnt to ash, but every unit in the entire facility was covered in smoke and soot, and anything stacked above about six feet was melted. Fortunately, the fire department was precise with its hoses and didn’t flood the entire building. I pointed that out to the investigator, and he told me they must be specific with how much and where they spray water in an enclosed building, as sometimes the steam can be as dangerous as the fire itself. He also pointed out that self-storage fires are particularly treacherous because the hallways are like a maze, the facility is dark, it’s hard to find the origin of the fire, and they often have to cut open unit doors to eliminate the inferno. You never know what’s behind that door. After reaching out to our insurance company and starting the claim process, we began to schedule appointments with tenants to review their units. We asked each of them to sign a liability waiver to enter the building due to the power outage and debris in the hallways. Although our rental agreement didn’t require us to do anything in terms of content remediation, our insurance allowed us to offer a basic cleaning from a local restoration company and move tenant belongings to a unit at one of our three other Tuscaloosa facilities. For most tenants, this was satisfactory; but we had to make it very clear that if a basic cleaning and relocation wasn’t going to satisfy them, they needed to file a claim with their own insurance company. As you can imagine, many of these reviews turned into emotional conversations. Tenants often store memories in their unit and forget about everything they had inside. With that said, most would start out being thankful that we were taking the initiative, and then they would see their old pictures burnt up or melted and get upset. The discussion would end with another thank you and a hug after we assured them we were there to help. It was an emotional roller-coaster. During a disaster such as a fire, most people just want to be treated with dignity. They want the business to walk in their shoes and see the situation from their perspective. Once we relocated our tenants, we started the clean-up. We were able to repair vs. demolish and rebuild the main structure, but this created more obstacles because it took a lot of cleaning. We essentially had to remove the entire shell, replace some steel purlins and rafters that were warped from the heat, add all new unit doors, exchange all the electrical and lighting, and pressure-wash and paint the entire building. After 10 months and hundreds of e-mails with our insurance and construction companies, we were finally ready to move tenants back into the building. The facility was better than ever, with carpeted aisles and motion LED lights, but there was definitely a price paid by everyone involved. Ultimately, this was a major learning experience for me, my staff and the entire company. You can never be fully prepared for a disaster like this, but it’s important to address with your team what needs to take place in any emergency. Communication is the driving force to make things right, so make sure everyone knows who to call when a crisis occurs. It takes a “village” and a lot of moving parts to overcome an event such as a fire, but if you have a playbook on hand, you’ll be able to make it through to the other side. One of the biggest lessons I took away from this experience was that if emergencies and mistakes are handled correctly, they can turn an upset customer into a loyal one. Chris Rhodes is the general manager for All-American Self Storage, which operates seven facilities in Alabama and Georgia. He has five years of experience in the self-storage industry. For more information, call 205.292.6989; e-mail chris@all-americanonline.com; visit www.all-americanonline.com.